Royal Canin Food is an ingenious food that has been specifically developed for Dogs as well as Cats. The smell and scent of food encourage the pet to eat. It contains all the requisite nutrition that is essential for growth and development. 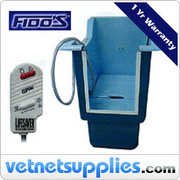 for more check this link https://www.discountpetcare.com.au/food/royal-canin/t200/b2064. Hill's Science Diet is available for dogs as well as cats. It is a highly palatable taste with precisely balanced nutrition. It is enriched with high-quality protein and a wise combination of sourced ingredients. It helps to build lean muscle, Maintainsi deal body weight and Enhances energy levels. check this link https://www. 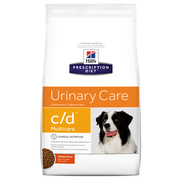 Hill’s Prescription Diet is Good to care for your dogs and cat. It is available in different type of cane for different problems like metabolic care, digestive care, skin, and food sensitivities care, urinary care, kidney care. It contains high level of antioxidants that helps neutralizes free radicals and Quality nutrients which support a faster recovery of a digestive tract. Blackhawk brand food is especially diet for dogs and cats, It contains rich protein, fats, Vitamin, minerals, and omega fatty acid. It is highly digestible and reduces stomach upsets. 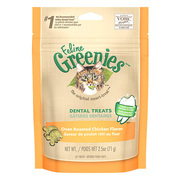 It supplies energy, optimal health and improves coat and skin health. for more info check this link https://www.discountpetcare. Applaws It's All Good Large Breed Dog Food with chicken. It contains Protein Rich Chicken, Healthy Fruits and vegetables and low carbohydrates. It is responsible for lean muscle and promoting healthy weight of the dog. It contains natural prebiotics that supports a strong digestive and immune system It is delicious and palatable. 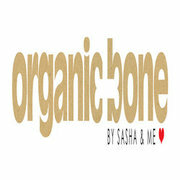 Our purpose is simple, we search for the best organic healthy and natural Pet food, accessible to anyone, anywhere at anytime. Our aim is to nurture your pets wellbeing at all times by providing wholesome, natural products free from Genetically Modified Organisms (GMO), artificial colours, flavours and preservatives. Mobile dog grooming services in Newcaste & Lake Macquarie. Scruffy to Fluffy's wide range of services make our clients purr! For dog grooming services that come to you in Newcastle & Lake Macquarie, you've come to the right place! 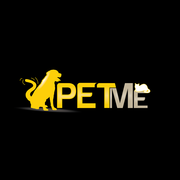 We offer a wide range of services ranging from dog washing to elaborate and exotic styling for animal shows. J S ENTERPRISES is one of the best hunting product selling company in NSW, Australia. Over the past 14 years our reputation has been built on quality products and customer service. We believe providing advice or just information on products is as good as a sale. We provide all the hunting accessories as well as our products are very much coolest, compact and have many features including it. HI TO ALL I CAN SUPPLY AS MANY BIRD CAGES U WANT FROM BIG TO SMALL IN SYDNEY BUT ALL SMALLER CAGES COME 10 PIECE OR MORE U HAVE TO PURCHASE IN BOXES IF U ARE INTERESTED SEND ME AN EMAIL TO peteabc2012@hotmail.com I can send u pics of stock or contact me on 0422252347. Follow the website to learn more about how to protect your pet against Fleas & Ticks. 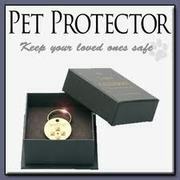 http://www.petprotector.org/PetProtectorLP.aspx?ID=10589. We have over $1500 worth of new life spectrum all various types and sizes would prefer bulk sale. Online Saddlery offering and Extensive range of horse gear. At Australian Horse Supplies we specialise in offering an extensive range of equine products as well as a range for small animals. We aim to provide unbeatable customer service and get your products to your door in record speed. We are located in the Hills district of Sydney and offer FREE delivery to LOCAL postcodes. We are a community base group.We hand raise excellent parrots of various species.We sell Fresh laid fertile parrot eggs. Health guaranteed.Parrot eggs have all been candle tested and proven fertile. We sell COD and offer a 100% money back guarantee if eggs are not hatched. A large range of species both parrots and parrot eggs. Extra deep aquarium - dimensions: 169.5 cm long, 61.5 cm high, 36.5 cm wide. Holds 320 litres water. Comes with wooden stand which is about 110 cm high so tank sits at eye height. Tank has some scratches which are much reduced once tank is filled with water. Has been a great tank for our tropical fish – would make a good breeding tank as it is extra deep. welcoming english bulldog puppies that are hand raised and getsalong well with children and other home pets.they are up to date in all their shorts.any family taking this babies have to promise us of good health and update pictures.contact for more information and pics. Hi, Selling my pet cologne for dogs! I bought it a while back but only sprayed once! We can't use it as the people in my house hates the smell! So we're selling it! for $11 There's still a price tag on the bottle as shown in the picture! Contact me for more details.. need to sell it ASAP! Thank. We have just 2 males 3 females tiger cub available, they are 14weeks old, they are very healthy babies do new homes they are very healthy and have no skin diseases nor eye problems.they are very obedient tiger cub who have grown up in the midst of kids and other pets and has no problem with living and playing with them and will keep you entertained . French Bulldogs puppies we produce are carefully bred as we are always looking for that next champion. We offer show prospect and pet quality puppies to good responsible homes, our pet puppies are raised in the exact same manner as our show prospects, if you are looking for a new family member that is raised by people who know this breed than visit our informative website. "Ooooh! They are so cute! ".The perfect pet that you need.Lovingly raised by hand & nourished with human attention.Bottle fed and train on diapers.They are smart and share 98.5% of the human genes.Health papers included.They move along well with persons and other animals.Babies are 12 weeks old and have been brought up in our private home with lots of love and care. We are dedicated in producing the best quality horses. We are a group of top breeders and trainers with a 25 years experience. We offer top quality Dutch Warm blood dressage and competition horses of all ages and levels. Horses for both amateur and professional riders. Europe Warm bloods breeding lines Dutch, German, Belgium dressage and competition horses. Affectionate and playful little baby T-cup Yorkie. Affectionate and playful little baby Yorkie.she has an Excellent temperament, Good pedigree and is house broken and Potty trained.she Just Weighs 2.4lbs So she Should Be Under 4lbs As An Adult.Bella is a very loving pet especially with kids. she is out for adoption to any home promising to take good care of her. 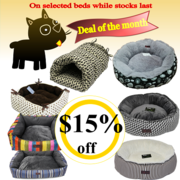 Pet supplies Sydney ads Sydney, Pet supplies classifieds Sydney, Pet supplies free ads Sydney, ads for sale Sydney, ads to buy Sydney, FREEADSAustralia Page number 6-1. Find here ads for sale, to buy and rent in Sydney. Goods for sale in Sydney, vehicles for sale in Sydney, Sydney real estate for sale, Sydney property for sale, property for rent in Sydney, business ads in Sydney, Sydney business classifieds, services in Sydney, Sydney services ads, jobs in Sydney, pets for sale in Sydney, Sydney dating, Sydney cars for sale.